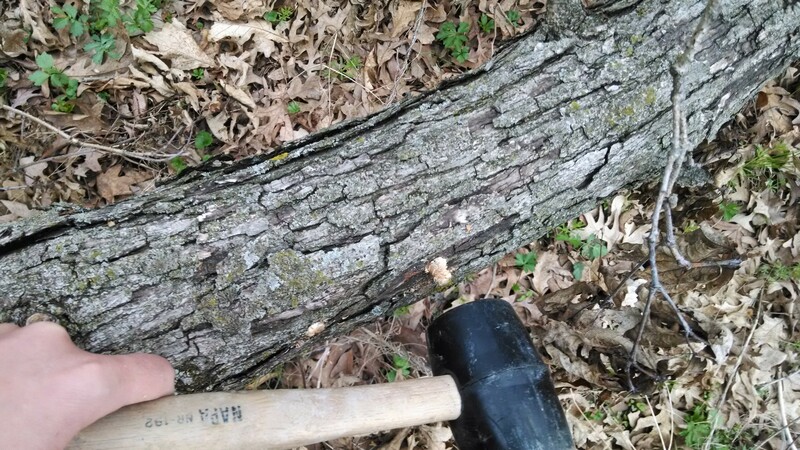 For National Arbor Day, I decided to plant some “mushroom trees.” I have healthy, mature oaks. I have young northern pecans, Kentucky coffeetrees, and Ohio buckeyes. I also have, typical of Iowa’s woodlands, forest areas so overgrown that trees need to be removed, not planted. And, while I continue to work on improving the diversity of the woodlands, planting a typical tree for National Arbor Day seemed counter-productive this year. Dying trees are critical for the health of a forest. They provide habitat for cavity nesting birds, screech owls, bluebirds, and wood ducks. They serve as roosts for bats and feeding stations for insect-eating birds. 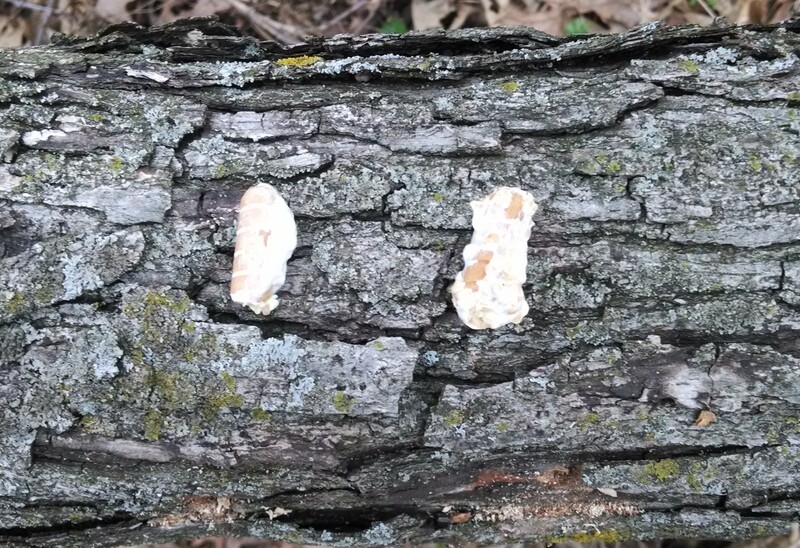 A dead snag hosts a tremendous variety of decomposers, from fungi to ants, which gradually break down the hard wood into soft, rich organic matter in which new life can grow. 3) provide organic material, when the tree is completely broken down. In the past, I’ve grown portabella mushrooms in a box in the house, and thought this would not be too much more difficult. 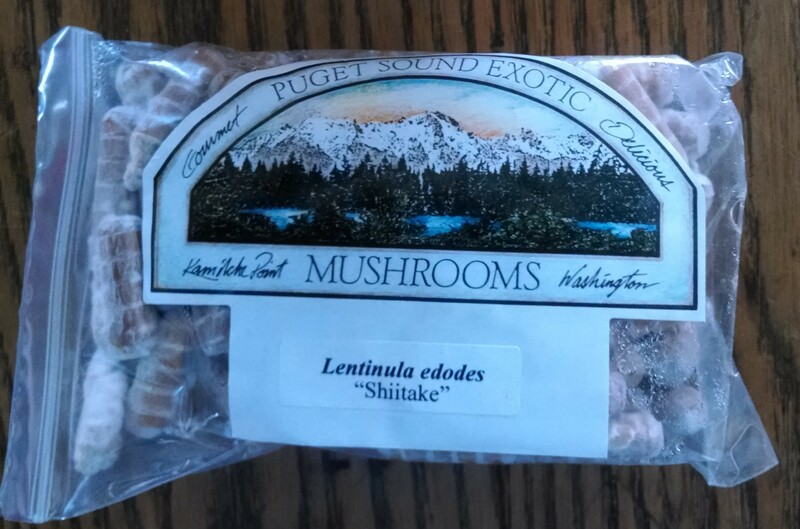 And then, when I got my shiitake, maitake, and reishi mushrooms from Fungi Perfecti…I realized that it may not be more difficult, but it is certainly a bit more specific and detailed. 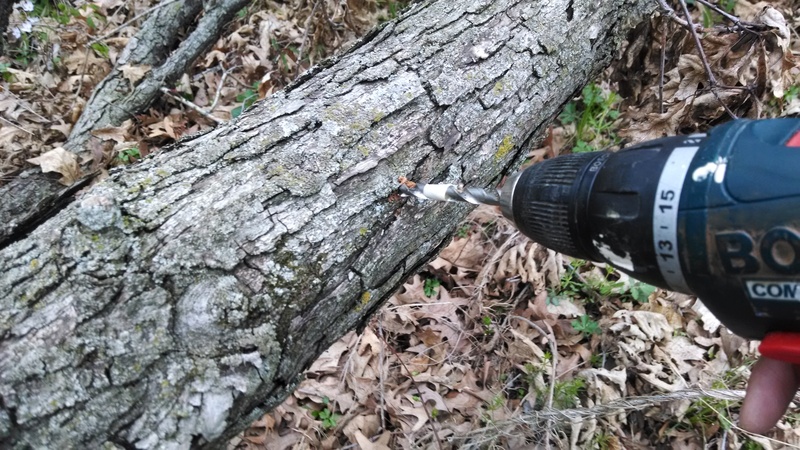 Tapping the plug snugly into the tree. I’ll be sharing pictures as the mushrooms grow! Have you ever grown your own mushrooms? 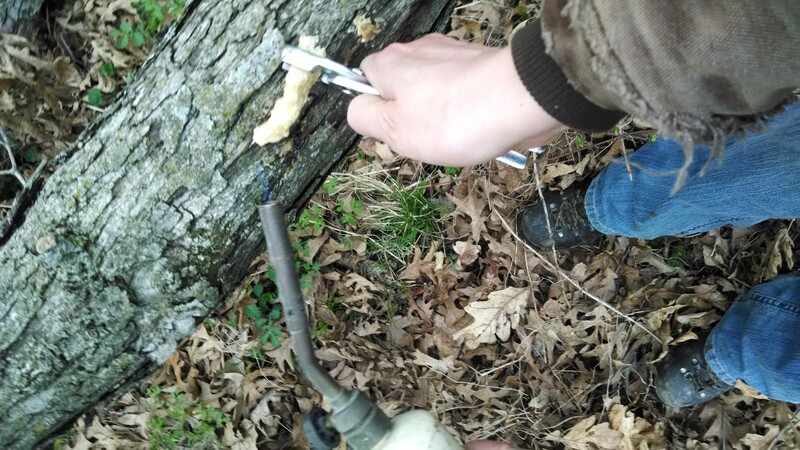 Sealing the plug into the tree with a bit of melted beeswax. There are definitely more efficient means of melting beeswax than a torch (the directions recommend melting the wax in a pot, and painting it on the plug). Now, we wait! I look forward to seeing your mushrooms, how long will they take? Six months to (gulp) three years. What I may really be learning is patience! Oysters are supposed to do well and fruit their first year, if you don’t want kids to lose interest. And the indoor portabellas I had fruited within six weeks.